MEDinARTvideo from TEDMEDLive Athens event has arrived to our blog! 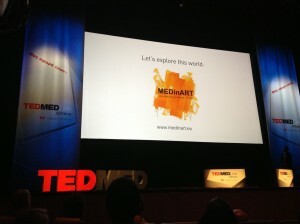 We are happy to announce that MEDinART video has just arrived to our blog from the main venue of TEDMEDLive Athens. MEDinART presentation from MEDinART on Vimeo. MEDinART video production was made by Costis Economides and Elli Pavloudi. The soundtrack of MEDinART video has been created by Lunicon. Brooke Roberts inspired us with her talk and her fascinating med-inspired fashion show at TEDMEDLive Athens 2013. 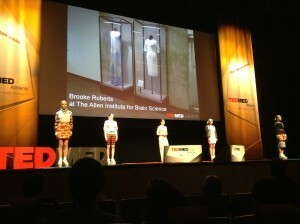 Brooke Roberts, as a radiographer and fashion designer, connects the seemingly unconnected and is sending out a new message in fashion design. In her work, our inner world, as observed under CT scans and X-rays, is transformed into an absolute muse. Thank you so much Brooke for this magnificent show! 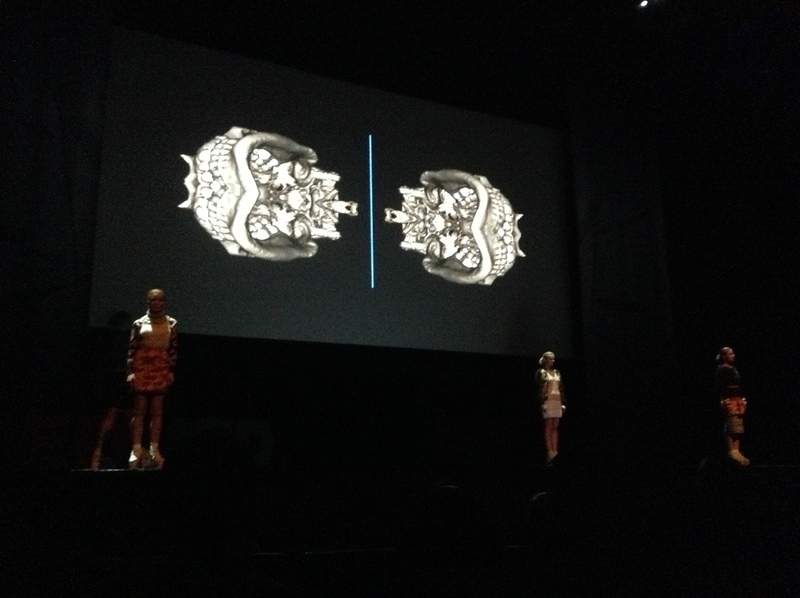 Selected artwork of MEDinART artists was presented in the form of a video at the main venue of TEDMEDLive Athens 2013. Pauline M. Lariviere, Joanna Culley, Marcin Oleksak, Alexandra Baker, Billy Reynolds, Danny Quirk, Fernando Vicente, Teressa Duck, Sarah Goodreau, Klari Reis, Angela Palmer, Jessica Lloyd-Jones, Federico Carbajal, Alan Dindo, Kate MacDowell, Jeremy Mayer, Jason Freeny, Shannon Rankin, Lisa Nilsson, Kaisu Koskι, George Petrou, Cohen & Van Balen, Maria Lalou (aka reaction-lalou), Anna Dumitriu, Methias Bengtsson, Anatopunk, Molly Epstein, Martina Anagnostou, Vasia Hatzi (laB.) and Brooke Roberts. 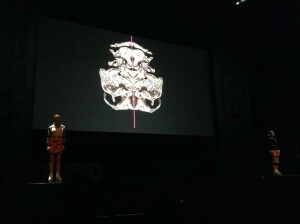 Brooke Roberts at TEDMEDLive Athens.. Backstage! Exclusive photos from Minas Minatsis.